1. From the Home screen, tap the Menu key. 2. Tap Settings, then More tab. 4. Swipe left or right to go to All tab. 5. Scroll to and tap Browser. 7. 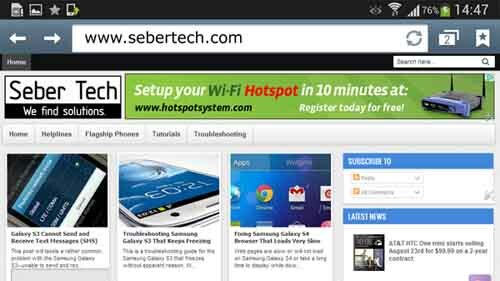 Tap Clear Data, then OK.
You may send us your concerns, problems, questions, etc via sebertech@gmail.com. We will do our best to find solutions or answers.